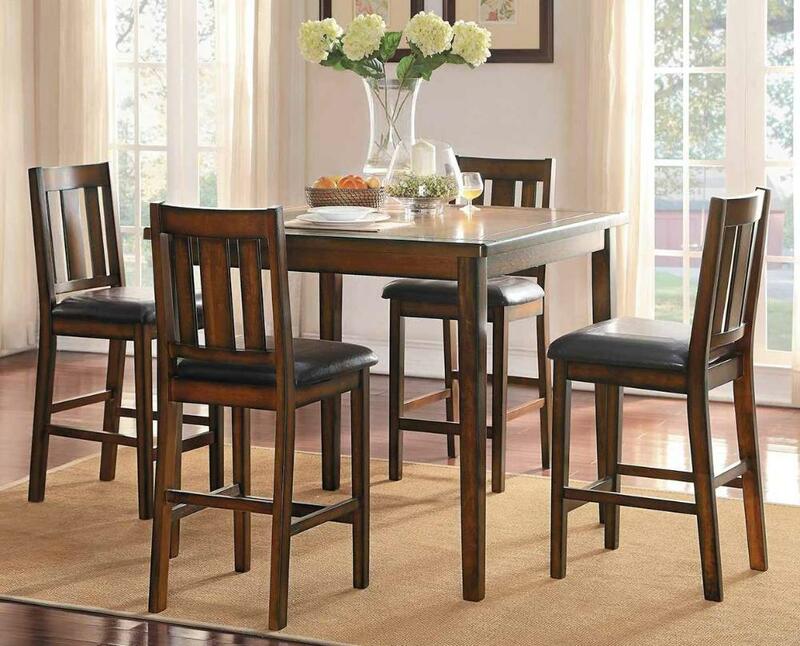 The burnished finish and classic profile of the Delmar Collection will be a perfect fit for your modest casual dining space. Slat back wood chairs with brown bi-cast vinyl seats flank the counter height table offering. Routed detailing provides a linear focal point on the table top. FEATURES: Burnished Brown Finish ~ Transitional Style ~ Square Table ~ Brown Bi-Cast Vinyl Chair Seats ~ Slat Back Chair Accents.